At Boucher, we strive to create an interactive, compassionate, and responsible community of naturopathic practitioners and students. Our collaborative approach extends beyond the schools and into our network of alumni, faculty, and guests. As a BINM graduate you are automatically a member of the Alumni Association. We welcome you to enjoy all the benefits that come with membership! Learn about our continuing studies opportunities! 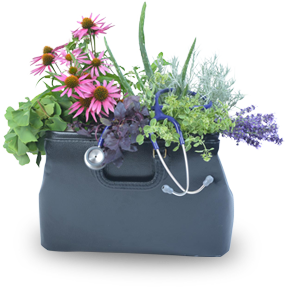 Naturopathic medicine has been a regulated profession in BC for 75 years. In spite of this rich history, there remains a dearth of solid information with respect to opportunities for employment, income, and the transition from student to professional. Our team aims to assist alumnus with this transition by offering continuing support, educational opportunities, and clinic access. As you transition to a practitioner-position, it is imperative that you balance your personal well-being. Alumni Services offers graduates extended access to our clinic for up to six months post-graduation. This option includes discounted visits for friends and family members. Additional friends and family members may not be added after the last day the student is registered in the program. Call the Clinic directly to book your appointment 604-540-2873 or visit them at boucherclinic.org. Alumni retain access to our wide range of electronic journals and databases via eCampus. Recent graduates will require an eCampus account, one can be requested from the eCampus Administrator mmcnulty@binm.org. Alumni may also access the physical stacks in the library but are not permitted to borrow books or materials. To order a copy of your transcript or diploma, contact the Registrar directly at registrar@binm.org. Transcripts: $25 each plus $5 for each additional copy. Extra charges rush or courier services may apply. Jobs, space for rent and practices for sale. Explore the latest opportunities available to licensed NDs. A great resource for naturopathic medical students, alumni and employers to find and post employment opportunities across a range of health and wellness-related professions.